Spring is in the air and it is time to get geared up and save some money. Come down to our 12th annual Spring Super Sale and save big on the industries best brands. From beginner to expert, fresh to salt, we have some great deals for you to take advantage of! 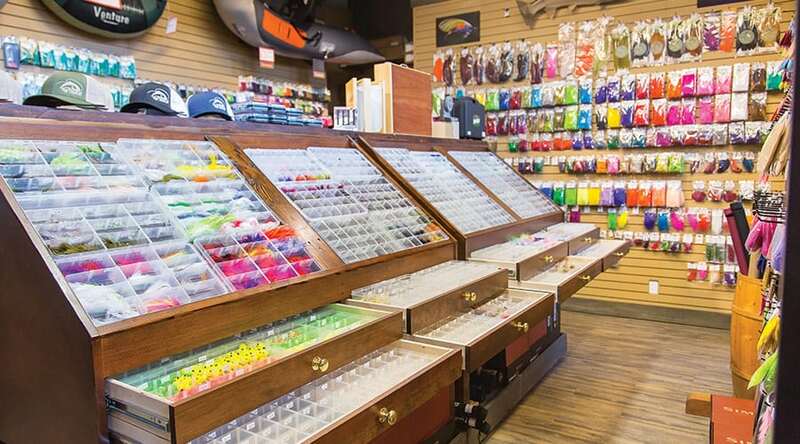 Choose any fly rod, fly reel, fly line, and build your dream combo, receive 15% OFF! Build a saltwater setup with any mooching reel and mooching rod, receive 15% OFF! Build a bottom fishing setup with a saltwater levelwind reel and rod, receive 15% OFF! Choose a float fishing rod and a levelwind or centerpin of your choice, receive 15% OFF! Enjoy great deals on all the hot brands like Fenwick, Okuma, Shimano, Rapala, Trophy, Shakespeare, Daiwa, Mitchell, Ugly Stik, Plano, Flambeau, Gamakatsu, Normark, Gibbs Delta, Owner, Luhr Jensen, Mad River, Worden’s, Berkley, Maxima, Seaguar, just to name a few! All Freshwater Terminal Tackle 15% OFF! All Freshwater Lures 15% OFF! 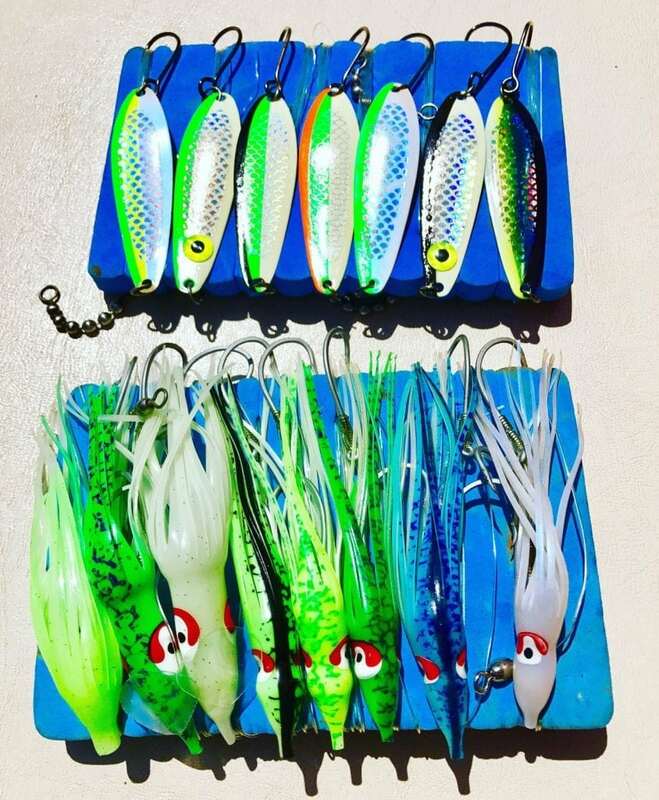 Lucky Bug, Flat Fish, Rooster Tail, Mepps, Panther Martin, Wedding Bands, P-Line, Gibbs Crocs & Kohos, BC Steel, and more! Blue Fox Spinners 20% OFF! All VMC, Gamakatsu, Owner, Mustad, Eagle Claw hooks 20% OFF! Flambeau Tackle boxes, all sorts of sizes, 20% OFF! All spinning and float fishing rods by Rapala, Shimano, Trophy, Titan, Daiwa, Fenwick, Ugly Stik, Okuma, TFO, 15% OFF! Lots of great models, including lots of travel rods! G. Loomis IMX, E6X spinning rods and float fishing rods 15% OFF! John Milner centerpins 10% OFF! Penn & Daiwa spinning reels for trout and salmon and blue water 15% OFF! Get the kids fishing! Trout combos from $44.95 to $129.95, all 20% OFF! We are Vancouver’s saltwater fishing experts! Our fleet of guide boats are constantly on the water and we know what works for local salmon! 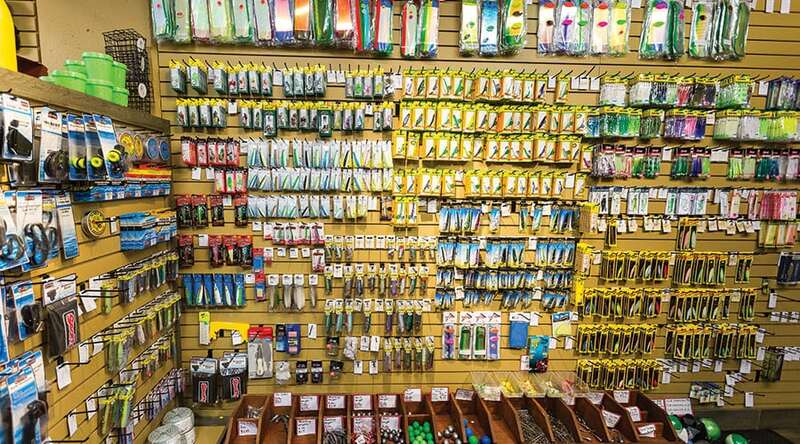 Come in for a great selection of saltwater tackle from brand names like Oki’ Tackle, Gibbs, Delta, Rapala, Shimano, Daiwa, Abel, Islander, Amundson, Fenwick, Flambeau, Scotty, Silver Horde, Yamashita, Sea King, Trophy, Titan, Coleman, Victorinox, Pesca, P-Line, Luhr Jensen, Rhys Davis, Tomic, Cuda, and many more! Saltwater Accessory Wall, 15% OFF! Pliers, Knives, Scales, and more, from Rapala, Shimano, P-Line, Berkley, Victorinox, Cuda and more of your favorite brands. All Flashers 20% OFF! We have all the top producers in stock now! Cannonballs, we have lots of sizes from 5 LB to 20 LB, 15% OFF! Trolling Spoons 15% OFF! All the hot colours and designs like Skinny G, Kingfisher, G-Force, Coyote, Titan, Koho Killer, and Iron Needle. Yamashita Hootchies 15% OFF! All the hot sizes and colours for our area and Vancouver Island on the East Coast and West Coast, including cuttlefish, turds, etc! P-Line Halibut and Salmon Jigs, 20% OFF! Buzz Bomb & Zingers, 15% OFF! Mooching Rods and Bottom Fishing Rods by Rapala, Penn, Okuma, Titan, Shimano, Trophy, Daiwa, Fenwick, Ugly Stik, 15% OFF! G. Loomis mooching rods, trolling rods, and bottom fishing rods, 10% OFF! Penn Saltwater Spin Combos, 20% OFF! Amundson Trend X5 Mooching Reel, regular $399.95, now 15% OFF! Peetz Mooching Reels 10% OFF! Bulk anchovy and herring teaser heads, 15% OFF! All Penn levelwind reels for bottom fish, halibut, sturgeon, 15% OFF! All Okuma levelwind reels for salmon, bottom fish, halibut, tuna, 20% OFF! All Shimano reels for bottom fish, halibut, sturgeon, 10% OFF! Shimano Evair Deck Boots, a guide favorite! 15% OFF! Anchovies and herring 15% OFF! Flambeau tackle boxes 20% OFF! Lots of different models to choose from. Victorinox, Rapala and Cuda cleaning and fillet knives 15% OFF! All monofilament 20% OFF this weekend! Brands like Maxima, Berkley Big Game, Berkley Pro Spec, Stren. All braided line 20% OFF this weekend! Brands like Daiwa J-Braid, Tuff Line, Power Pro Super Slick, Trilene Braid. Backing 30% OFF this weekend! 20 LB and 30 LB in white, orange, chartreuse, red, blue. 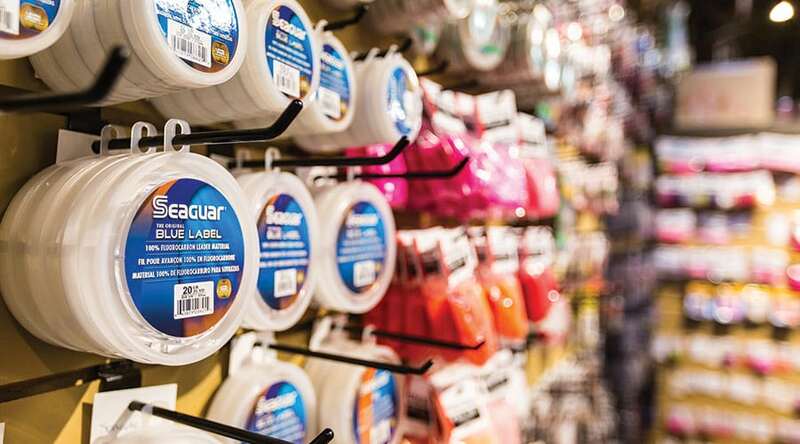 This is your chance to save on the industries top brands like Sage, Redington, G. Loomis, TFO, Rio, SA, OPST, Airflo, 3-TAND, Hardy, Islander Nautilus, Lamson, and many more. All Fly Lines 15% OFF! Save on the top lines from Rio, SA, Airflo, OPST. All Fly Fishing Nets 15% OFF! Top end nets from Moby and Fishpond at great prices. Fly Boxes 15% OFF and all Flies 20% OFF! Large selection of brands, styles, and sizes. All Leaders & Tippet 20% OFF! Save on Rio, SA, Airflo, Seaguar. Outcast Float Tubes, Stealth Pro, Fins, Pumps, & Accessories, 10% OFF! G. Loomis Fly Rods, Switch Rods, and Spey Rods 10% OFF! 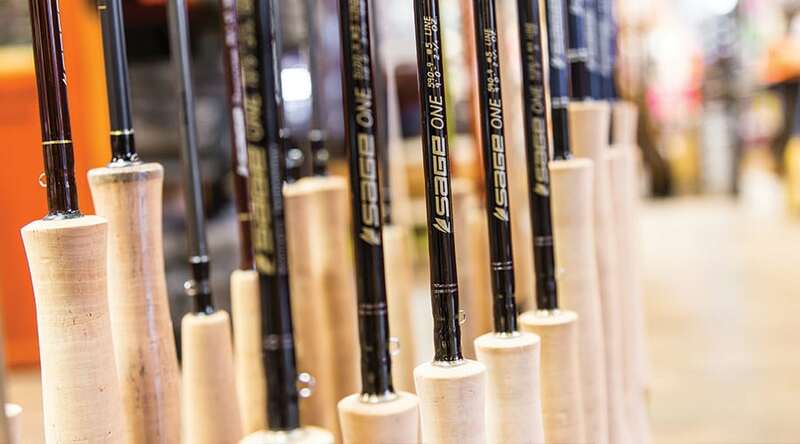 Sage Fly Rods, Switch Rods, and Spey Rods 10% OFF! Redington Fly Rods, Switch Rods, and Spey Rods 15% OFF! Redington 2017/18 Crosswater 590-4 Fly Rod, $139.99 now 30% OFF! Redington Dually Spey Rods reg. $350 now 30% OFF! 8136-4 and 7130-4 in stock while supplies last! G. Loomis IMX Pro Fly Rods, reg. $665 now 20% OFF! 7100-4, 790-4, 5100-4, 590-4 in stock while supplies last! Orvis Clearwater 890-4 Fly Rod, 1 only, reg. $319.99 now 30% OFF! Islander Fly Reels 10% OFF! Hardy Fly Reels 10% OFF! 3 TAND Fly Reels 10% OFF! Nautilus Fly Reels 10% OFF! Waterworks Lamson Fly Reels 10% OFF! Sage Fly Reels 10% OFF! Redington Fly Reels 15% OFF! Orvis Hydros SL V Fly Reel, special price, 1 only! Reg. $369.99 now only $249.99. If you are looking for a high quality machined fly reel with a solid drag, look no further. This 9/10/11 WT reel will make a great Spey reel or warm water reel for the lucky person to get it at this price! It won Editors Choice Awards for Fish Alaska Magazine in 2019. 3-TAND TF 70 Fly Reel, reg. $475.00 on sale for 40% OFF!! 1 only! This is a bombproof 7/8/9 reel that is perfect for salmon, steelhead, bonefish, permit, and small tarpon. It features a large arbor design and an award winning Nano CF drag system. Check out our huge selection of layering pieces, waders, boots, jackets, vests, chest packs, backpacks, hip packs, sling packs, dry bags, hats and gloves, to keep you fishing in comfort! We carry the top brands like Simms, Fishpond, Mustang, Helly Hansen, and Orvis. Mustang Jackets and Bib Pants, 10% OFF! 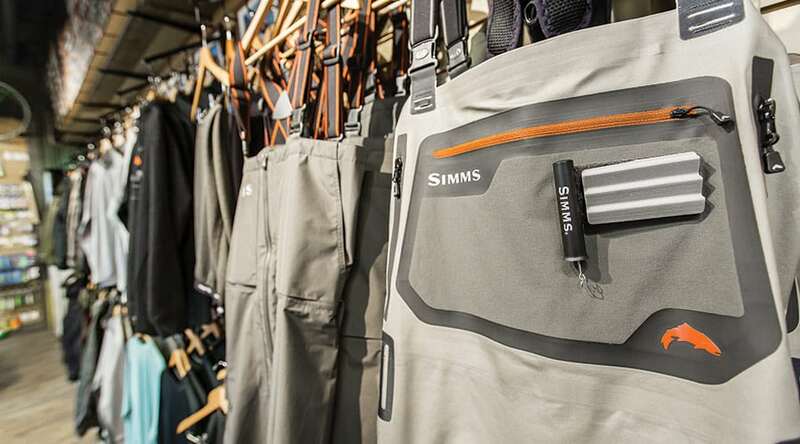 Simms Jackets and Bib Pants, 10% OFF! Helly Hansen Rain Gear 15% OFF! All Mustang Personal Flotation Collars at great sale prices, too many too list! All Fishpond bags, vests, packs, and accessories 15% OFF! Simms bags, vests, packs, and accessories 15% OFF! Orvis bags, vests, packs, and accessories 15% OFF! 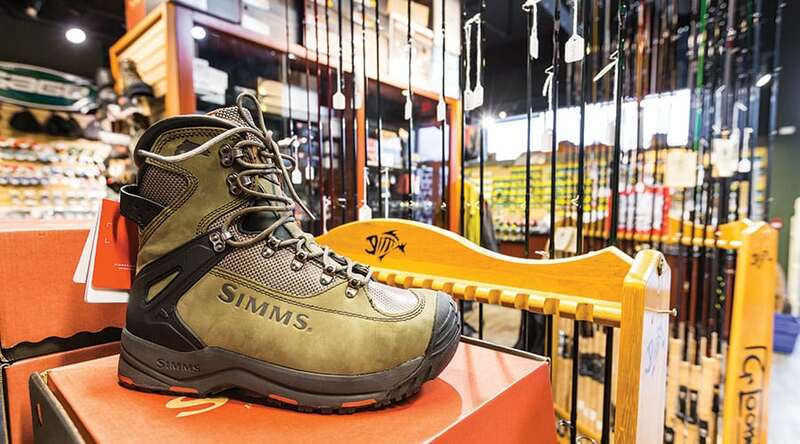 Check out the largest selection of Simms in Vancouver, all at a minimum of 10% OFF! All Simms Layering Pieces – Fleece Pants – Fleece Tops – Wicking Layers, 15% OFF! Simms Gloves, Toques, & Socks, 15% OFF! Simms Technical Shirts & SPF Shirts 15% OFF! Simms Rogue Fleece Hoodies 15% OFF! Simms Cotton T-Shirts, lots to choose from 15% OFF! Simms Assorted Layering Pieces (2017/18 Models) on sale for 40% OFF! Simms Flats Sneaker (2017/18 Model) size 11, 12, reg $199.99 on sale for 40% OFF! Simms Challenger Marine Deck Boots, size 14, reg $149.99 on sale for 40% OFF! Simms Rock Creek Felt Sole Wading Boots, size 7, 8, 9, reg. $134.99 on sale for 40% OFF! Simms Rogue Fleece Hoody, Hex Camo Loden, M, L, XL, reg. $129.99, now 30% OFF! 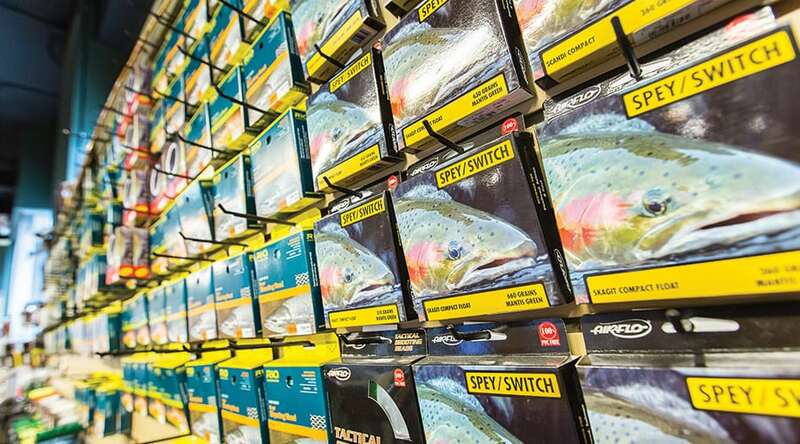 Did you know we are freshwater and marine fishing electronic specialists! 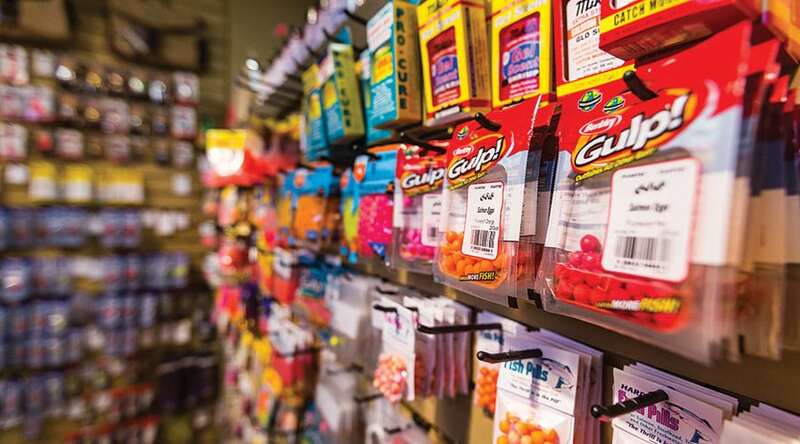 We are here to help take the mystery out of what you need for local lake fishing and saltwater fishing electronics. From a simple fish finder for chironomid fishing on your lake punt to an advanced dual screen system complete with CHIRP sonar, radar, and autopilot, for a 30 foot Grady, we are here to help! Raymarine Dragonfly-5 Pro, reg. $499.99 on sale for $399.99! 1 only! Humminbird Fishin Buddy Float Tube Strap BFT2, reg. $54.99 now 40% OFF! 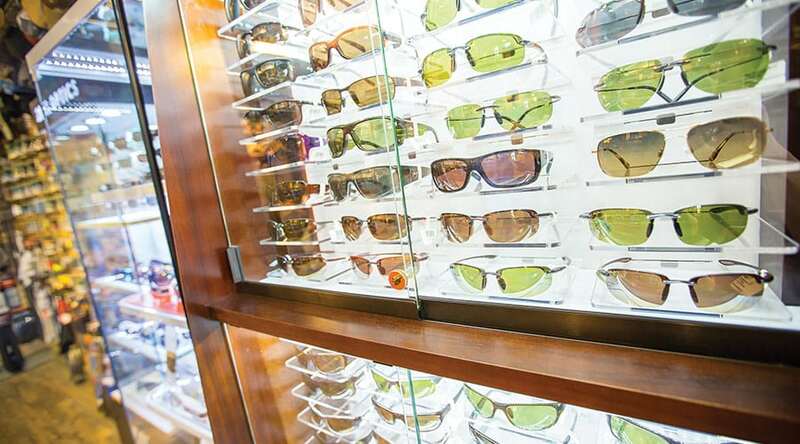 Choose from a great selection of polarized sunglasses from Maui Jim, Smith, and Suncloud. Maui Jim & Smith Sunglasses 15% OFF! Suncloud Sunglasses 20% OFF! All sales on March 30th and 31st 2019 are final, no returns, no refunds, or credits. We accept Cash, Debit, Visa, MasterCard, American Express and Pacific Angler Gift Cards. Sale prices are for in stock items only and do not include applicable taxes or shipping. No discounts on Scotty Downriggers, Scotty Trap Pullers and Ace Line Haulers or Marine Electronics (Raymarine & Lowrance) unless specifically listed.